MY CANADA celebrates the final day before #elxn 42 today and the likely demise of the Harper Conservative Party of Canada or Harper CPC. That is the scenario if the final day polls are correct. The electorate seems divided into categories similar to past trends but with a stronger possibility of reflecting the true nature of Canadian voting. The 18 to 34 year olds, although the lowest group of voters bothering to attend polling booths, seem ready for a change of government. The 35 to 55 year old post baby boomer population and stronger voters are more apt to cast a ballot and are almost equally ready to demand change. The 55 plus baby boomer senior citizen voters are also probably tempted to follow their children’s and grandchildren’s trends for change except most seniors have a inbred caution with regard to change. Polls seem to indicate a larger degree will probably support the Harper Conservatives, and if the outcome is correct will lead to a minority government or at least a very slim majority for one of the major parties. Recent polling results are notoriously unpredictable so the Mulcair NDP decline from contenders back to traditional 20% plug range of voter support might become a surprise similar to the Alberta provincial election results earlier in the year. Such an outcome would likely force the Trudeau Liberals to depend on support of their left of center New Democrat cousins to retain power after such a seriously split election result. But everything is open to conjecture 24 hours before the polls open. The outcome really indicates only two likelihoods according to the polls. The Trudeau Liberals will sweep to victory with a majority or the same party will eke out enough votes to edge the Conservatives into opposition with the Mulcair NDP close in voter popularity to the crumbling Harper CPC recent juggernaught. Once election results are in the fate of the leaders will be interesting. Depending on the closeness of the vote both Harper and Mulcair appear in jeopardy to becoming past history. 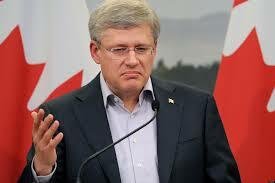 If Stephen Harper loses a majority of seats all indications are his resignation as leader is assured. If Tom Mulciar should lose most of the momentum the late Jack Layton forged for the NDP to assume opposition status in parliament it is likely his tenure as leader would end with a resignation. Justin Trudeau is the only leader at this pre-election date that will likely become Canada’s next prime minister or assume leader of the opposition status. The only possibility of a Trudeau resignation is the remote. If the Liberals remain as the third party the outcome would probably not mean Justin’s immediate resignation as the party would still need a youthful leader to rebuild. Within the next 48 hours Canada will most likely have a new PM, remain on the same path with the Harper CPC’s less able to dictate from a majority position, or experience a surprise outcome with the NDP becoming the country’s first labour government. But then again the polls might be wrong and the party faithful vote will create an altogether unexpected turn of events. My Canada will comment again after the vote to assess how close these comments come to reality.